Recently, we took on the task of transforming an architectural drawing of a 110 unit lodge into a photo-realistic image. 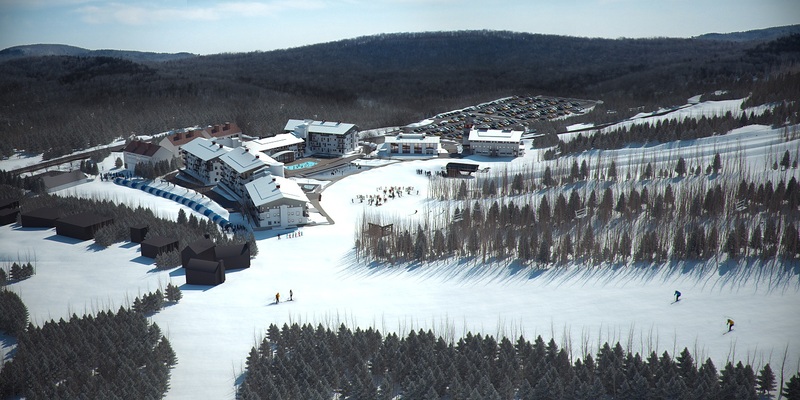 The 3D render follows strict local, state, and federal regulations as well as a vision for future customers as to what this new 110-unit lodge would look like. 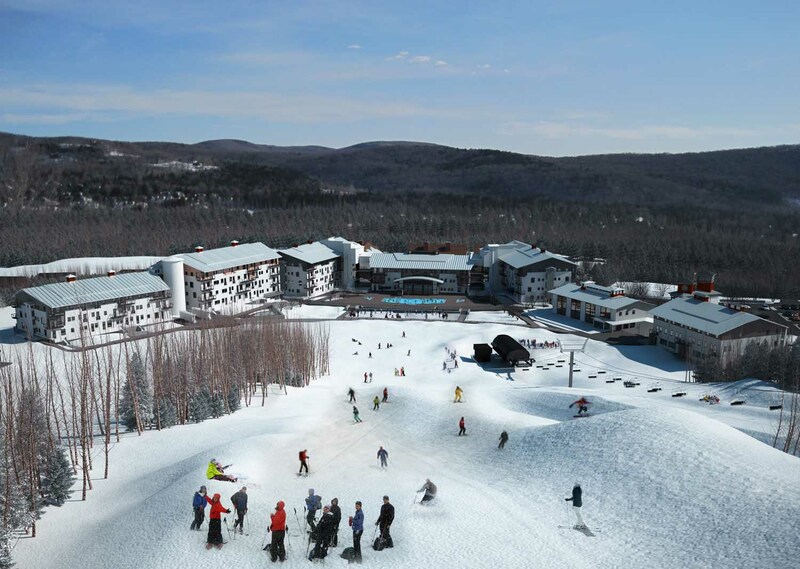 The final 3D renders will also help Mount Snow obtain the final building approval and potentially entice prospective owners to invest in the project. PiXate creative uses 3D rendering to transform a collection of area photographs and architectural drawings into photo-realistic 3D renders. These high resolution images provide a number of crucial benefits to help move the project from the initial image phase to reality, as well as a key part of a multi-media presentations and marketing materials. Our first step was to gather as many photographs as possible of the site. 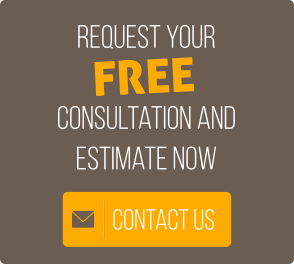 We felt some of the angles were missing, so we traveled to the location ourselves and took the photos we feel were necessary to advancing the 3D rendering process. We then obtained the drawings of the potential buildings and site plans from both the building and landscaping architects. 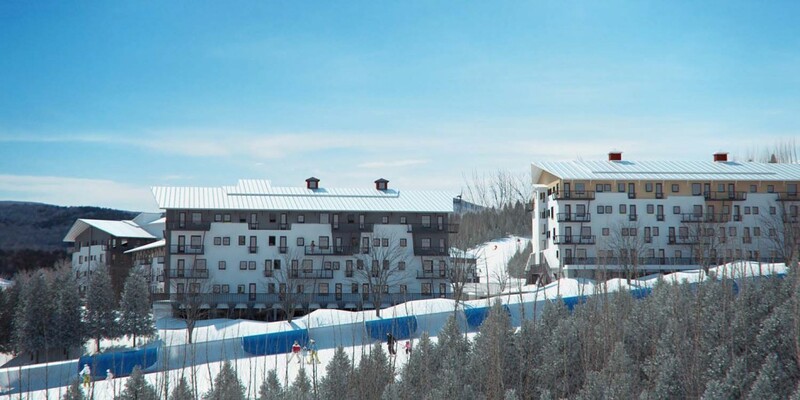 After obtaining the documents, we worked with noted International resort panners, SE Group to help provide some guidance as to where to properly place the building in relation to the landscape surrounding the building. We then created the most realistic, visually satisfying images of the potential buildings and site plans from both the building and landscaping architects.